A new month is here along with a new set of Monthly Quests to undertake. This time around, Level 10 featured a painful No Awakenings clause while 9 forced players to rely on 4 seconds of orb movement time. Finally, Level 8 was another Fixed Team with a subtle twist at the end. Regardless, I decided to upload all three of my clears to help provide inspiration as well as hopefully saving some stamina for my fellow players. 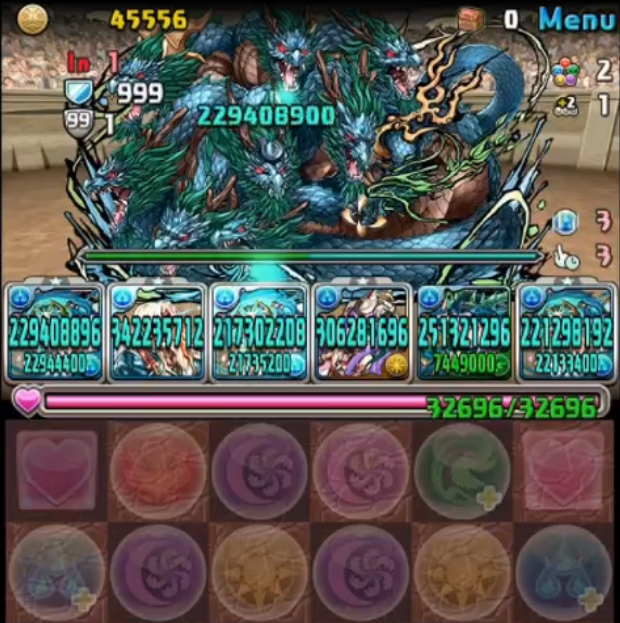 The key to my Cheese strategy is to use Hades for massive Dark Damage Reduction paired with an auto healer like Odin Dragon . This combination greatly lowers the chance of accidentally pushing the first floor below 50% (which transforms the spawn to Water and thus losing Damage Reduction) along with making stalling both faster and easier. Other keys are having bicolours with Dark orbs along with the first one used having Orb Unlock. Level 9 only gives players 4 seconds of orb movement time but is also only 1 floor long. Furthermore, it is Gaia Dragon which is easily one shot via VDP which can be easily done via a full board changer + double row maker. This combination yields a 7 Combo board that is easy to manipulate into position. Level 8 if a Fixed Team dungeon that requires players to match 6 or more connected Light or Dark orbs to deal damage. The main hurdles are a single leader bind on Floor 3 and a Light or Dark Absorb on Floor 4. The leader bind is solved via a row of Heart orbs and the 6-match of Dark/Light while the Absorbs are countered via No Skyfalls fromTokugawa Ieyasu and appropriate orb changers. This month’s Monthly Quests provide a new twist on current content as it presents players with an interesting set of challenges. For the most part, all dungeons can be cleared with proper planning and it becomes an issue finding what works for your own Monster Box and matching skills. With 4x Technicals providing me with unlimited rank up potentials from Machine Hera (I only require 3-4 clears depending on overflow), I was able to experiment around more with this set of Challenge Dungeons and am happy to provide some glorious solo clears with some of my favourite leaders. This is one of my happier PAD moments as I had to try and come up with a team with enough Skill Boosts to avoid excessive stalling with a glass cannon leader while retaining a certain degree of damage control for floor 1’s resolve. After floor 1, I essentially followed the same strategy for the subsequent floors as my Meridionalis clear. My first clear of Challenge 10 so it is a bit more rough around the edges by comparison. No RCV dungeons are wonderful for Dark Metatron as I am able to always ensure I stay at my maximum damage multiplier. The Spanking on floor 4 was also a nice touch. Any high multiplier leader without difficult activation requirements will excel in this dungeon as it is only 5 floors. Futhermore, a true button like Famiel acts as both a board changer and execution for floor 4 and their high defense. This set of Challenge dungeons heavily favours glass cannon/non-tanky teams as most of the danger is simply having enough damage to one shot every floor. Let me know what you used to clear this set of dungeons.